As the U.S. trade war with China rages, farmers in Minnesota and North Dakota are anticipating a strong soybean harvest, leaving them scrambling for ways to deal with excess, unsold beans. 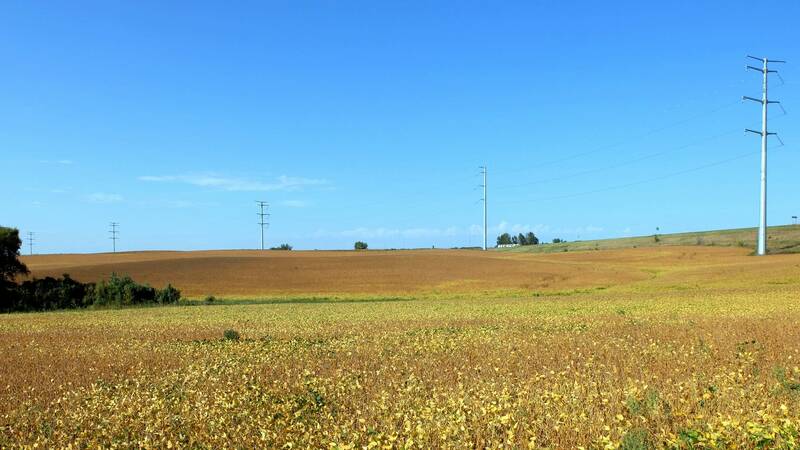 Most years, farmers sell soybeans soon — and sometimes immediately — after harvest. In 2016, Minnesota exported $2.1 billion of soybeans. China was the biggest buyer. But a trade war means that, at least for now, China isn't buying U.S. soybeans. And many farmers are scrambling to find ways to store the soybean crop they can't sell. "It's a confusing... complex market. Anybody who can predict what it's going to absolutely do maybe should buy lottery tickets," said David Kee, director of research for the Minnesota Soybean Research & Promotion Council. 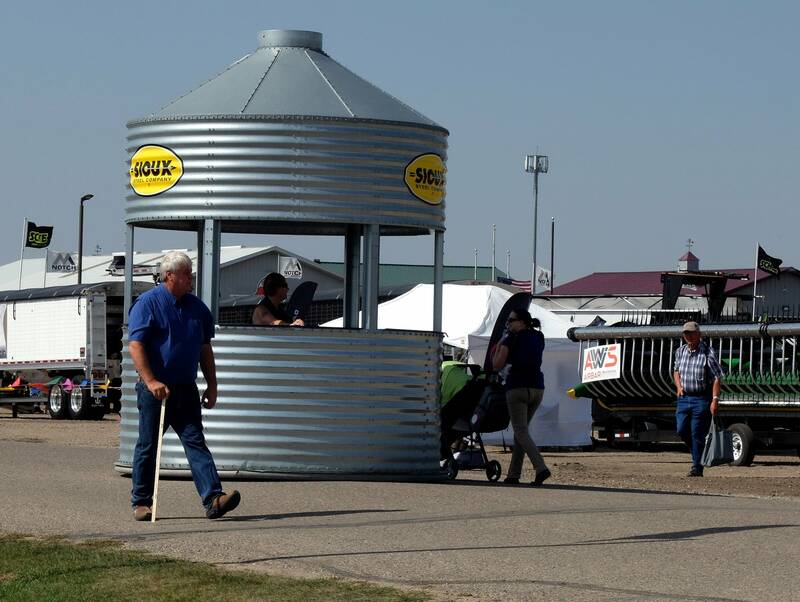 Kee was staffing a booth this week at the Big Iron Farm Show in West Fargo, N.D., where about 70,000 people check out the latest ag trends and equipment every year. His advice to farmers: Do the best you can to preserve the quality of this year's crop until the tariff issue is resolved. Soybean markets are in turmoil, in part because the Trump administration imposed tariffs on China and China responded with tariffs on important agriculture exports like soybeans. That's a big hit: China has been buying a third of all U.S. soybeans. "There's a big supply and little demand and it's a thing that's kind of up in the air and you don't know what's going to happen," said Mark Kluvers, who raises soybeans, corn and wheat in southeastern North Dakota about 80 miles from Fargo. He was at the farm show browsing the displays and the latest equipment — but he's not ready to buy more storage bins. "That's a huge capital investment. And then you build this great big bin that you might use one out of every two or three years ... You've got to make it pay for itself, too," he said. Instead of buying new bins for the soybeans he'll harvest soon but doesn't expect to sell, Kluvers is planning to move around the wheat he's now storing to make room for some of his soybean crop. He's still hopeful he can sell the beans soon after harvest and avoid the hassle and cost of storage. 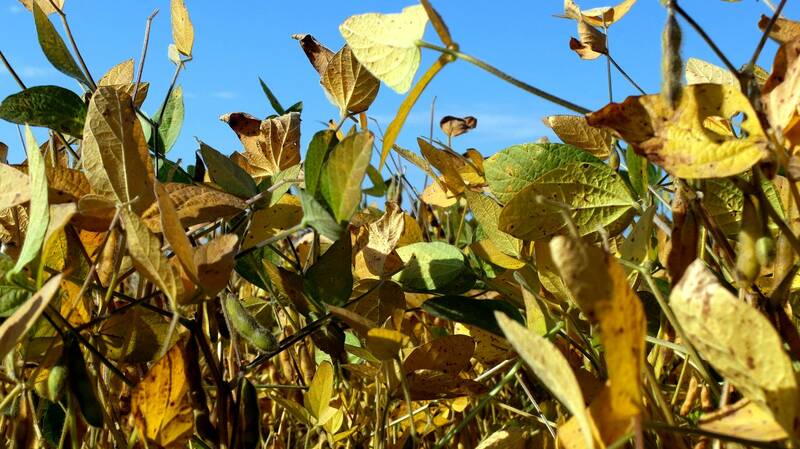 But most farmers will need to plan on storing this year's soybean crop much longer than usual, according to Ken Hellevang, an agricultural engineer from the North Dakota State University Extension program. "The markets for China have essentially stopped, and so we're looking at needing to store soybeans maybe for nine months or even longer," he said. "And that's going to be a learning experience for a lot of people." Farmers aren't typically equipped to store soybeans long-term — in part because they are often so quick to move from market to harvest. Hellevang said he has already heard from farmers who have questions about storing soybeans, which are more challenging to store than other crops, like corn. Soybeans are a temperamental crop: To store them well, farmers need to harvest when the beans are at a low moisture level. But if the beans are too dry, they'll crack in the harvesting process, and their quality will go down. If there's to much moisture, the beans are more likely to mold in storage without a good ventilation system. And soybeans are a higher-maintenance crop than corn, which farmers and grain elevators often pile on the ground or store in huge white plastic bags after harvest. But piling soybeans would degrade the oil in their seeds, which is a crucial part of their value. "That oil quality is very dependent on the temperature of the storage. So we need to be cooling the soybeans in storage," Hellevant said. "Every ten degrees we reduce the temperature, we double the storage life." That means farmers will have to regulate the temperature where the beans are being stored with fans that blow air through the grain, lowering the temperature. As the harvest looms, farmers are left to decide: Spend the money on bins to store soybeans, or hope the trade war ends and markets turn around? Kluvers says he doesn't have many options. "We are going to have to harvest and do what we can with them and hopefully, marketing works out in the end," he said, "otherwise it's take it in the shorts and we're not gonna like that, but it's what happens." And while this year's harvest is a concern, Kee said, the bigger issue is the long-term effect this trade turmoil will have on the market for U.S. soybeans. "We've built a real positive market in [our] relationship with China," he said. "We've shown them we've developed the product that they want and we can deliver to them on a timely basis. This just makes things harder."